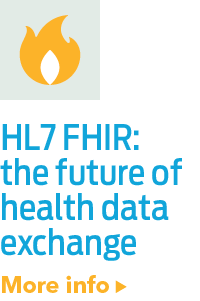 FHIRAn HL7 standard that is short for Fast Healthcare Interoperability Resources and pronounced “Fire”. The standard defines a set of “Resources” that represent granular clinical concepts. The resources provide flexibility for a range of healthca... stands for Fast Healthcare Interoperable Resource. 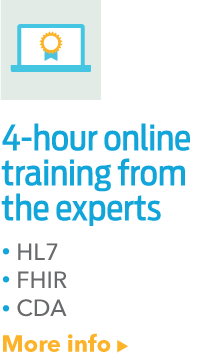 This emerging standard combines the best features of HL7HL7 is a Standards Developing Organization accredited by the American National Standards Institute (ANSI) to author consensus-based standards representing a board view from healthcare system stakeholders. 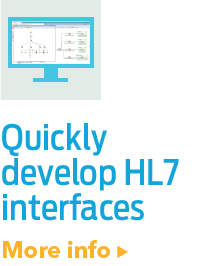 HL7 has compiled a collection of message form... V2, HL7 V3, and CDAClinical Document Architecture (CDA) HL7 CDA uses XML for encoding of the documents and breaks down the document in generic, unnamed, and non-templated sections. Documents can include discharge summaries, progress notes, history and physical reports,..., while leveraging the latest web service technologies. The design of FHIR is based on RESTful web services. With RESTful web services, the basic HTTPHTTP (Hypertext Transfer Protocol) is the foundation for application-level communication on the internet. operations are incorporated including Create, Read, Update and Delete. FHIR is based on modular components called “resources,” and these resources can be combined together to solve clinical and administrative problems in a practical way. The resources can be extended and adapted to provide a more manageable solution to the healthcare demand for optionality and customization. Systems can easily read the extensions using the same framework as other resources.